Bluetooth Adapter for 350Z Now Available! The answer to your hands-free problem in a 350Z - the BlueTooth Adapter. This little device slides into the integral phone cradle and will communicate with your BlueTooth phone immediately. Set the adapter as a paired device and every time you come to the car with your phone you will be connected. The voice commands and steering wheel controls all work and the stereo automatically mutes on incoming calls. Conversations are relayed via the cars speaker system. Only suitable for U.K. models, not imports. N.B. '06 owners should get this for free as part of the package! Recent price reduction makes this even more affordable! Buy with confidence (and at discount) from the MJP On-Line Shop. 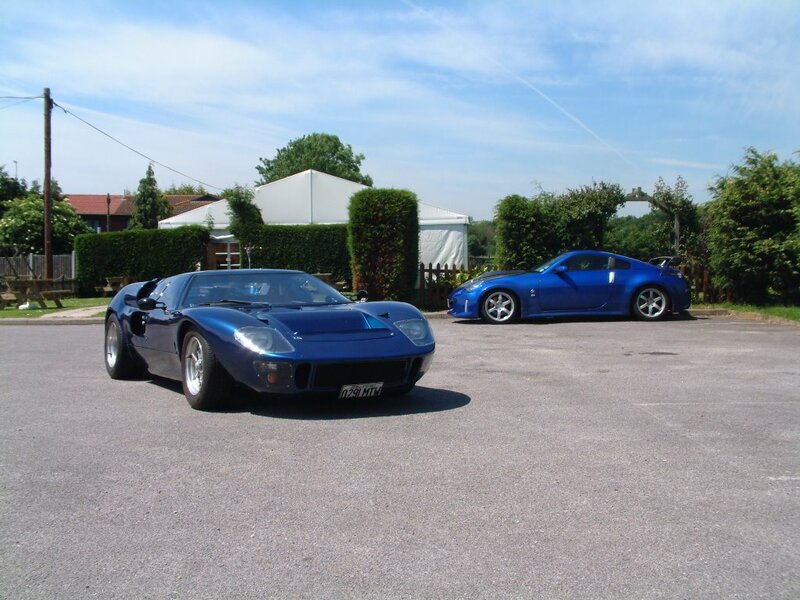 In June, this superb GT40 replica was there for a photo shoot before everyone else turned up! Zs scorched in the sun at the Matching Green Car Show - a great family day out with a very cosmopolitan selection of modern and classic cars of interest on display. 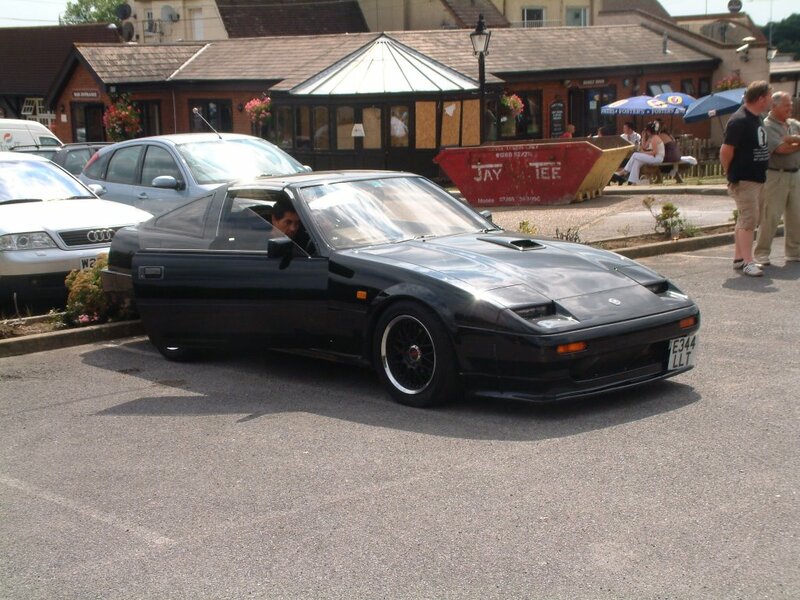 At the August Halfway House, my latest impulse buy puzzled SEKZ members who thought they knew their Z31 300ZX - this 200ZR is probably unique in the U.K. Two seater manual version, manufactured 1988 for the Japanese home market only. It comes with the R31 Skyline Rb20DET engine as standard - this one has been used for street racing and drift in Japan and has lowered and uprated suspension, K & N induction, Kakimoto exhaust and front mounted intercooler. 16" American Racing split rims with black centres complement the "stealth" look and the interior is stripped to the bare essentials. Trusted members came back smiling after testing it down the local by-pass! Next Z Club meeting 13th August at Santa Pod Raceway - Round 5 of the Z Club Drag Challenge at a Run What Ya Brung. 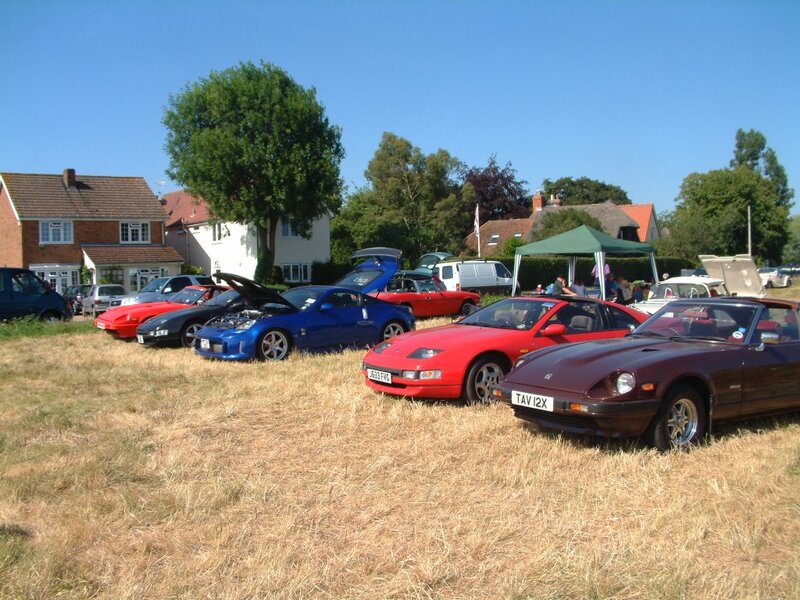 Next SEKZ meeting first Sunday in September - call 01277 374201 for venue.